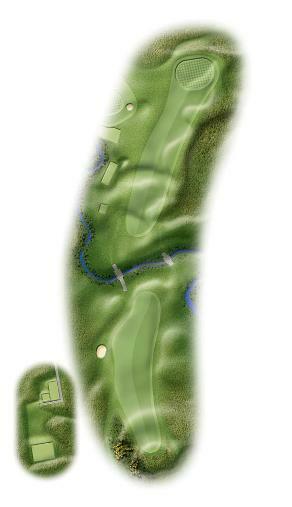 The fifth hole is bisected by the Clynelish Burn, which runs past the local distillery of that name. As with one of Wordsworth's Lucy poems the pin is half-hidden from the eye. The deep hollow behind the green precludes attack. A four here deserves a dram of the local brew in the clubhouse lounge.